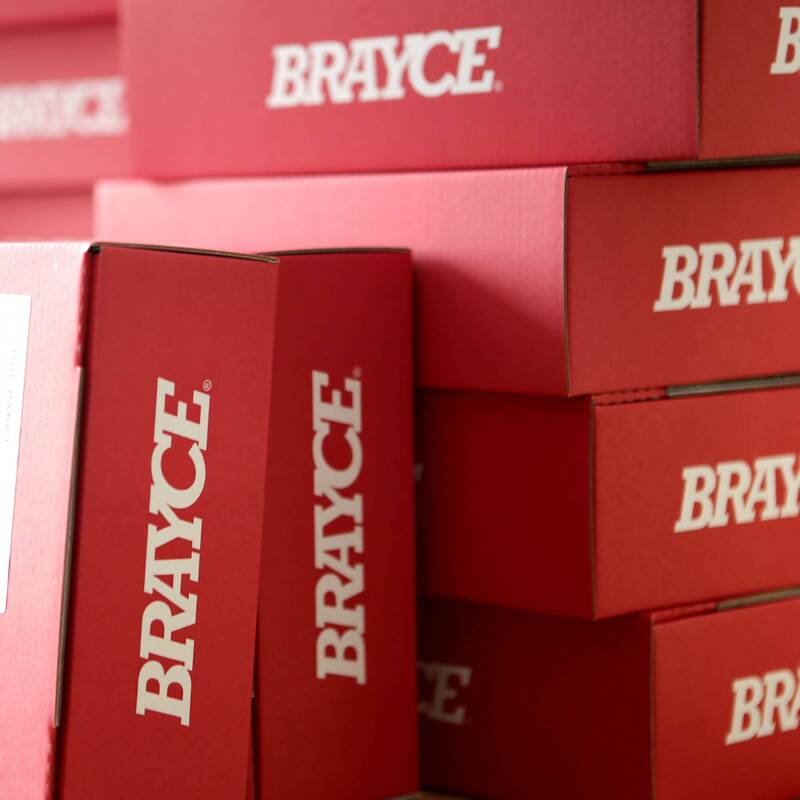 GEAR UP FOR THE SEASON! 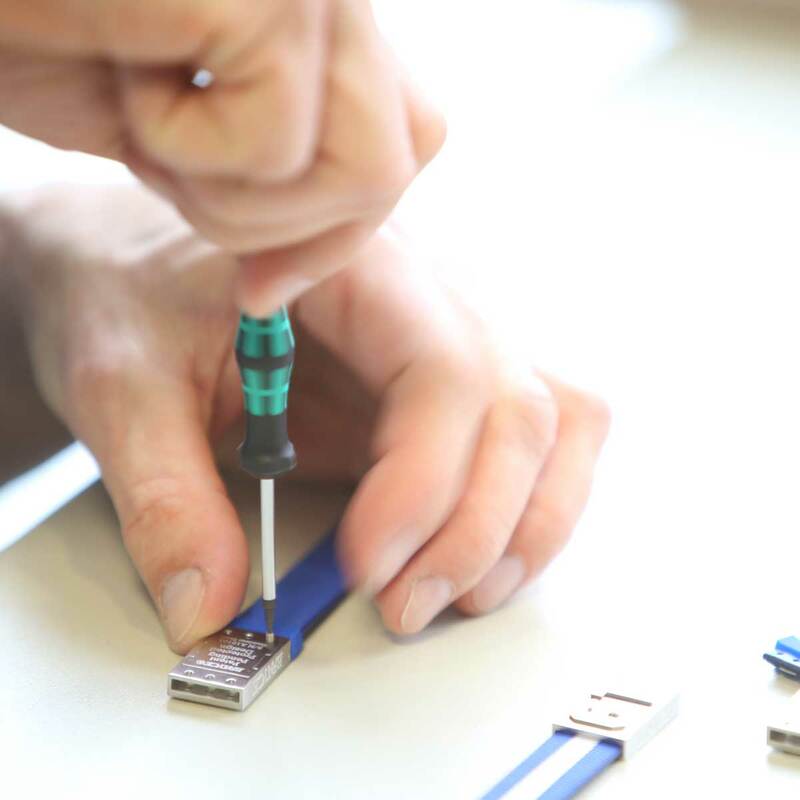 High-Grade PES Fiber, a textile made of synthetic fibers that offers perfect tensile strength as well as resistance to abrasion. 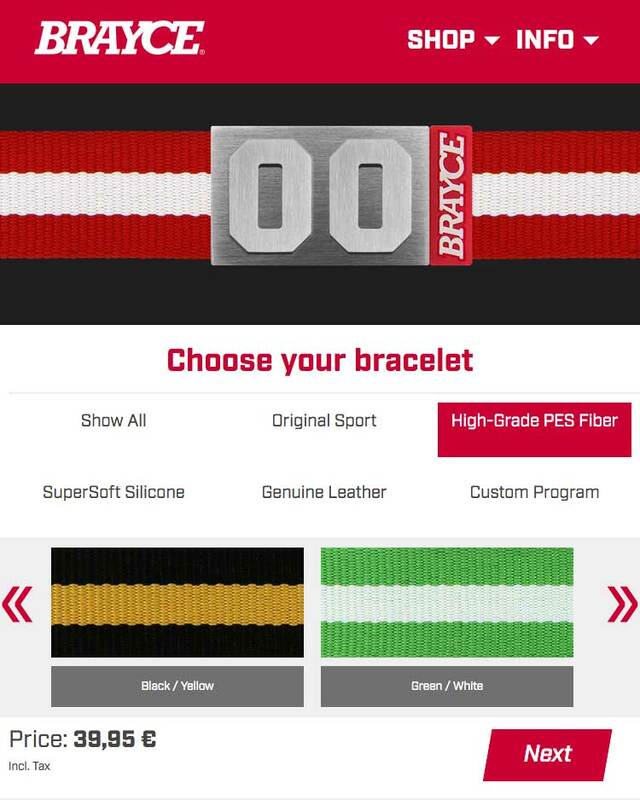 And within our large selection of colors and combinations you’ll find your team colors as well – for sure! 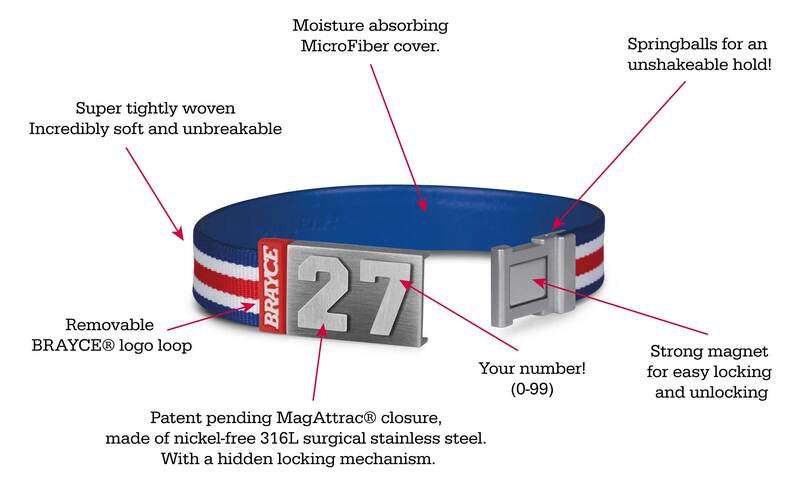 The original MagAttrac® closure is made of premium nickel-free 316L surgical stainless steel with an innovative hidden and patent pending closure to give you an extraordinary look & feel. 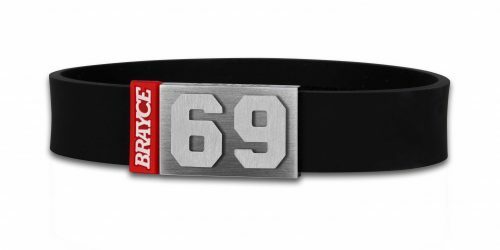 WE at BRAYCE® have invented so called High-Grade PES Fiber Bracelets called the jersey bracelet. 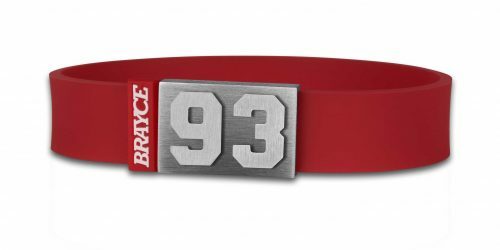 This is the very first bracelet in the history of sports merchandise, you can express your passion the team you proudly support and the player number you favor – every time und everywhere! 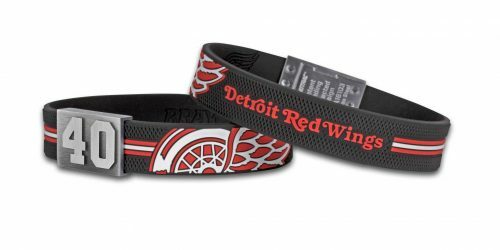 You, as a hockey fan, can create your individual fan jewelry by combining your team colored wristband red, black and white with your favorite jersey number (0-99). 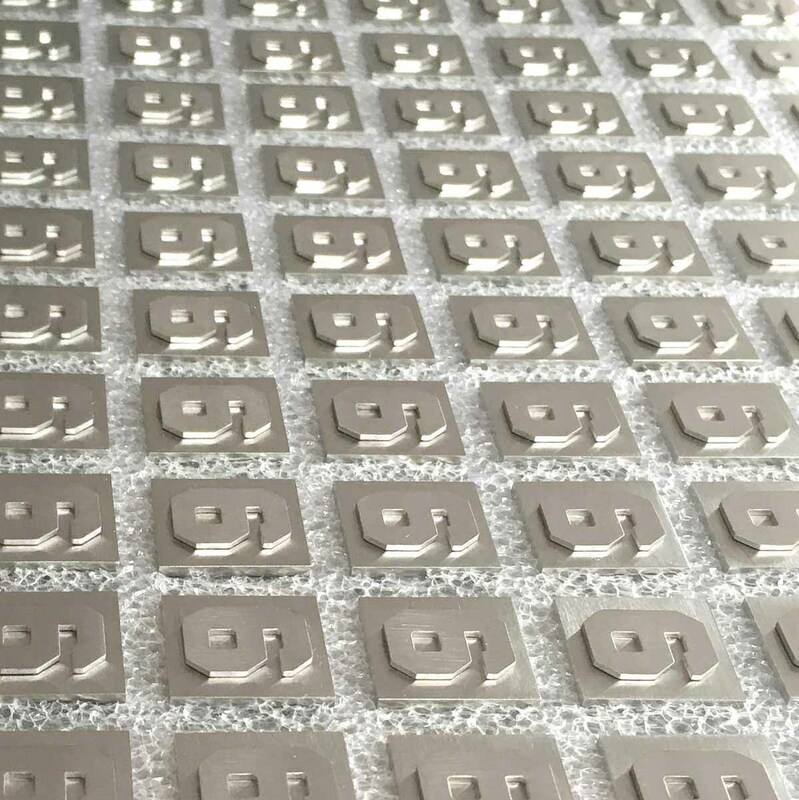 That’s the way to show your love for your own jersey number, your lucky number or the number of your personal sports hero. As a hockey fan, you are in everyday life faced with the decision how to show your love for your team. Wearing team sportswear at work, bosses as a rule do not accept. 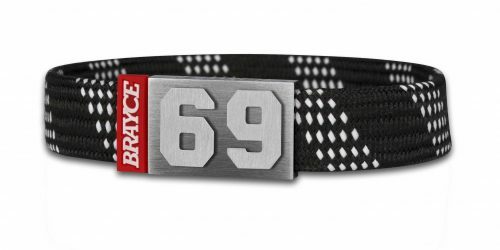 That’s why we say: #BRAYCEyourself and customize your handmade jersey bracelet! The Chicago Blackhawks play their home games. Between 1933 and 1961, the team from “Windy City” won the prestigious Stanley Cup three times. The 1960/61 season’s title win was also the last for a long time, although it was one of the NHL’s best in the 1970s and early 1990s. However, the Chicago Blackhawks experienced its biggest sporting crisis around the turn of the millennium, when only one play-off qualification was achieved in ten seasons. After a major reorganization, the success of previous years returned, so that in 2010 not only the first Cup success after 49 years was achieved, but the team was also able to regain success in 2013 and 2015. That’s why the Chicago Blackhawks belong to the most successful teams in the NHL history. Customize your jersey bracelet red, black and white (Chicago Blackhawks) with your favorite player number (0-99)! Jonathan Toews #19, Patrick Kane #88, Marian Hossa #81 and Duncan Keith #2- we got them all! 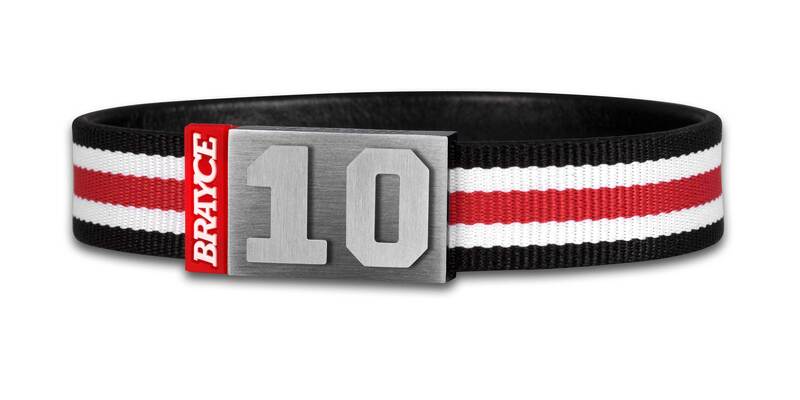 In case of a team colored bracelet (Chicago Blackhawks) is not enough for you as a hockey fan, we at BRAYCE® proudly present our original sports collection including three stylish hockey wristbands. 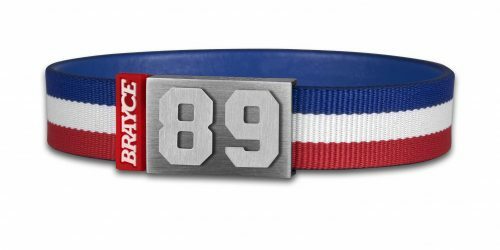 By wearing a hockey puck or lace bracelet with your jersey number, you show your love for the Game!